Watching a live motor sport event is a thrilling experience and one of the best ways for motorsport fans to get close to the action, experiencing the sport’s sights, sounds and smells first-hand. The event organisers strive to keep spectators safe but ultimately all spectators are responsible for their own personal safety. Please have a look at this spectator safety video which demonstrates why the organisers ensure that designates spectator areas are provided. 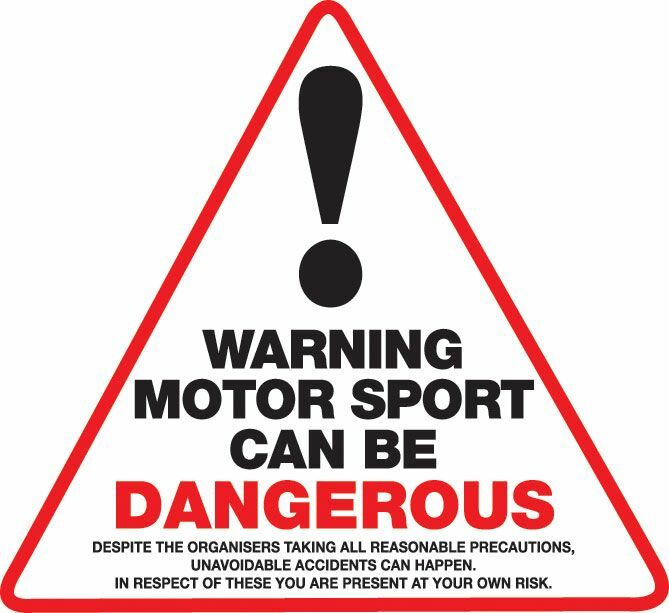 Remember too – if you visit the Service Area this is also a potentially dangerous environment with movement of rally cars and hazardous materials being used. Please note that this is a No Smoking area. Please be vigilant and be aware of your surroundings and in particular keep children under close supervision. 95 cars tackle 2 Flood lit stages around the unique New Brighton closed road circuit at Kings Parade, New Brighton. Excellent viewing from all of the designated Spectator Areas, plus running commentary, Rally Village and catering facilities on site. Car Park Charges: £10.00 per car including detailed colour rally spectator programme. Please retain your Programme for discounted parking to the Rally on Saturday. 95 cars tackle 10 Special Stages around the unique New Brighton closed road circuit at Kings Parade, New Brighton. Car Parking Charges: £10.00 per car detailed colour rally spectator programme. 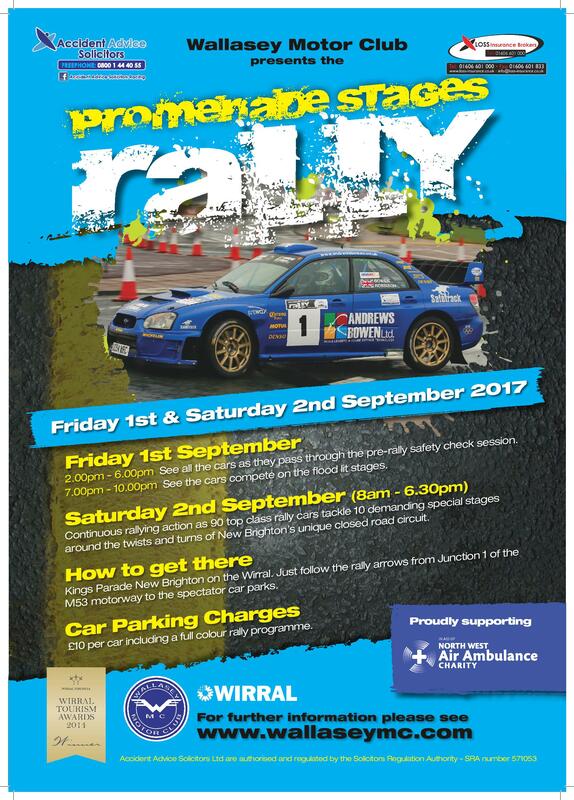 Please retain your Programme from Friday evening for discounted parking to the Rally on Saturday. After all of the high speed action around the Promenade the day’s action finishes with the champagne spraying with the top 3 finishers . Awards presentation shortly after at the West Cheshire Sailing Club club house. 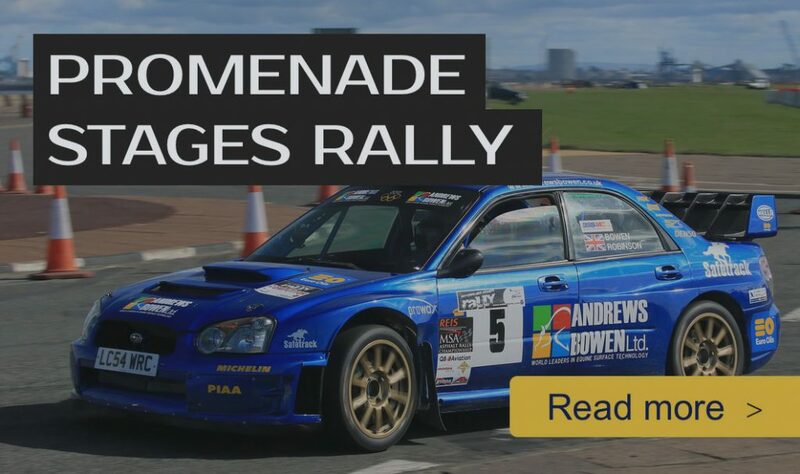 The 2017 Accident Advice Solitictors Loss Insurance Brokers Promenade Stages Rally offers excellent spectator access & parking and a superb view of all of the stages. To get there simply follow the rally arrows from Junction 1 of the M53 Motorway and enter the spectator car parks via Sandcliffe Road. Access from Liverpool is via the Wallasey Tunnel and follow the signs for New Brighton Promenade. For a map & further directions click on the ‘Directions’ button from the main menu.